Background : The diameter of the aortic root is used as a parameter to calculate blood flow in very preterm infants. 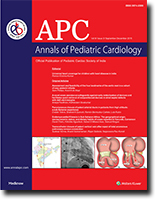 There are considerable differences in diameter of the four anatomical landmarks of the aortic root in children and adults, but limited data are available for the very preterm population. The aim of this study was to obtain reference and reliability data on two-dimensional measurements of the aortic root in very preterm infants <30 weeks gestation. Materials and Methods : Fifty long axis echocardiograms were reviewed and re-analyzed for measurements at the four anatomical landmarks of the aortic root; the aortic annulus, sinus of Valsalva (SV), sinotubular junction, and the proximal ascending aorta (PAA). A subjective visual scoring system was developed to quantify image quality. A random sample of images was blindly re-measured to assess intra- and inter-observer reliability. Results : Significant differences in diameter were found between the four landmarks, except between SV and PAA. Inter-observer coefficients showed marginal variation ranging from 5.0% to 8.2%, with slightly lower intra-observer variability. Overall image quality score was poorest for PAA on standard long axis images but improved when the probe was adjusted along the outflow tract. Conclusion : We present reliability and reference values for all four anatomic landmarks of the aortic root in very preterm infants and demonstrated the importance of standardizing and reporting cardiac output measurements in preterm infants. Background : Embolization might complicate device closure of large atrial septal defects (ASDs) with deficient margins. When margins are deficient, a precariously placed device can appear to be held in good position by the rigid delivery cable. Once the cable is unscrewed, the device adopts the natural lie of the interatrial septum. This can occasionally expose the inadequately captured margins and lead to device embolization. Most embolizations occur immediately after release. Retrieval of the embolized device required prolonged fluoroscopy and sometimes open heart surgery. Objective : To evolve a new strategy of retrieval of a malpositioned device after unscrewing the cable before impending embolization. Materials and Methods : After deploying the device in place, a snare is passed through the delivery sheath around the cable to grip the screw on the right atrial disc of the device. With the snare holding the screw end, the device is released by unscrewing the cable. The device position is reconfirmed on echocardiography. The snare is subsequently removed if the device was stable. In case of device migration, the same snare is used to retrieve the device before it embolizes completely. Results : Snare assistance was used in 24 patients considered as high-risk for device embolization. Its usefulness was demonstrated in two patients with deficient posterior margin and small inferior margin where the device got malpositioned immediately after release. As the snare was still holding on to the screw end, the device could be retrieved into the sheath easily. 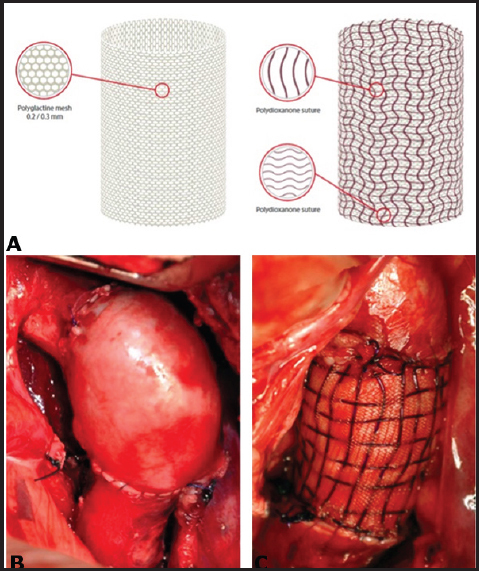 Conclusion : This novel snare assisted device release strategy safeguards against device embolization in large ASDs with deficient rims and allows simplified retrieval. Background : Endomyocardial fibrosis (EMF) is a neglected heart condition of the inter-tropical regions. Numerous hypotheses suggest a relationship between its geographical distribution in the affected regions and other etio-pathogenic factors such as dietary habits, infectious causes, and geochemical causes. 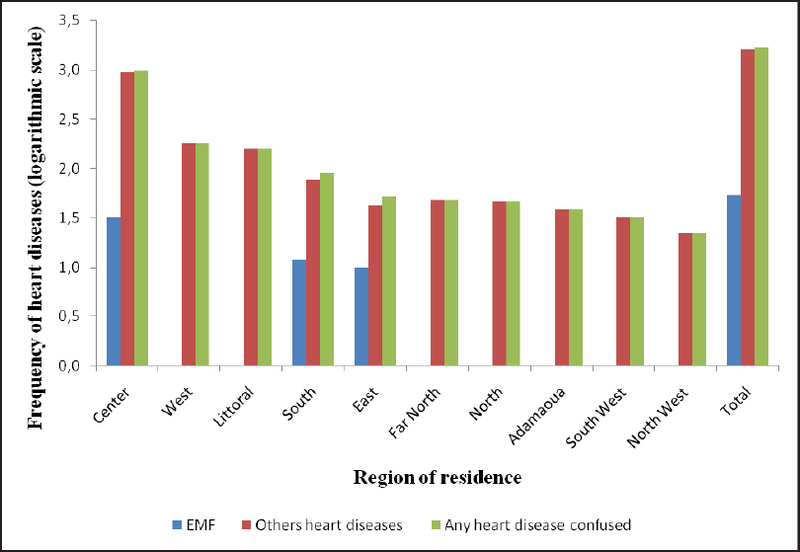 Knowledge of its epidemiology in Cameroon remains limited, which is why we decided to describe the profile of a paediatric series of EMF in Yaoundé. Patients and Methods : A retrospective study was carried out on EMF in 54 patients diagnosed from 1 January 2006-31 December 2014 in a Paediatric Centre of Yaoundé. Diagnosis was mainly echocardiographic. We compiled data on the geographic origins of the patients, their dietary habits and the socioeconomic profile of their families. 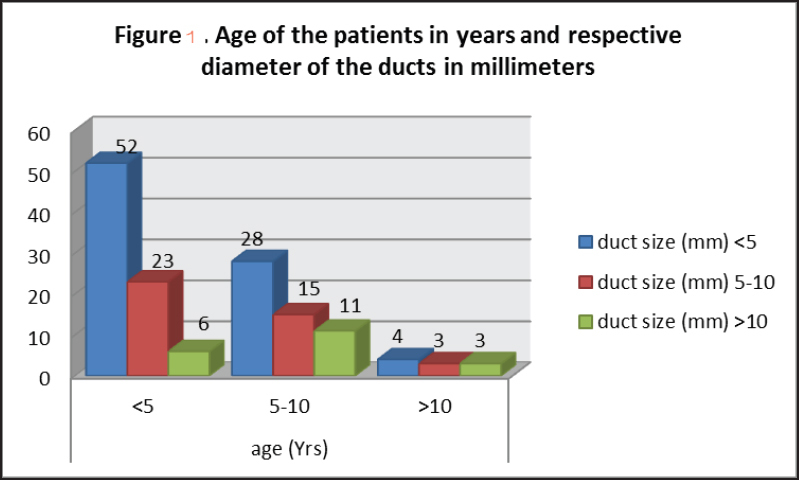 Results : The patients' ages ranged from 2 to 17 years, most of whom (83.3%) were between 5 and 15 years. For geographical distribution, all came from three tropical forest zones where they have lived since their childhood. These were Center (32/54), South (12/54), and East (10/54). All families had a moderate income, consumed tubers at least twice a week especially cassava (43/54) and had low sources of proteins. Conclusion : Apart from geographical similarities all patients of our series shared the same dietary habits. Our study was conducted in a hospital setting; therefore a screening of the disease in the whole national territory would enable a more reliable mapping. 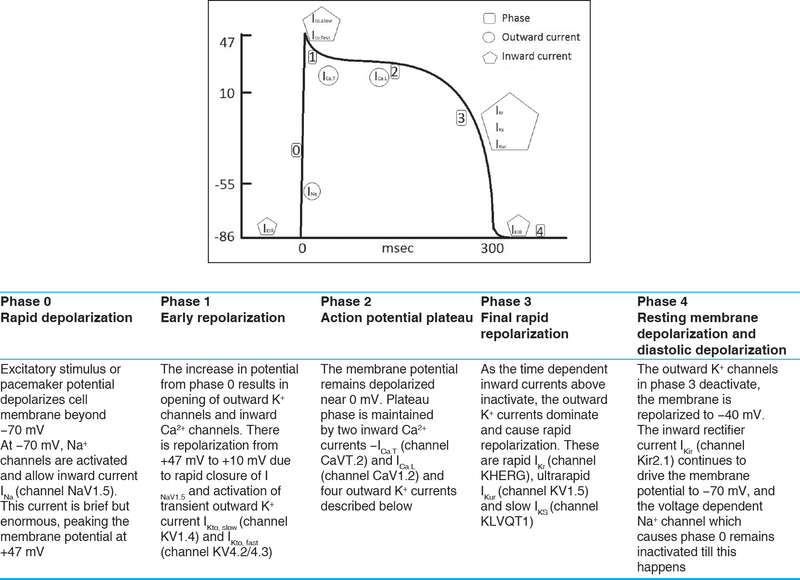 Ion channels in the myocardial cellular membrane are responsible for allowing the cardiac action potential. Genetic abnormalities in these channels can predispose to life-threatening arrhythmias. We discuss the basic science of the cardiac action potential; outline the different clinical entities, including information regarding overlapping diagnoses, touching upon relevant genetics, new innovations in screening, diagnosis, risk stratification, and management. The special considerations of sudden unexplained death and sudden infant death syndrome are discussed. Scientists and clinicians continue to reconcile the rapidly growing body of knowledge regarding the molecular mechanisms and genetics while continuing to improve our understanding of the various clinical entities and their diagnosis and management in clinical setting. Two separate searches were run on the National Center for Biotechnology Information's website. The first using the term cardiac channelopathies was run on the PubMed database using filters for time (published in past 5 years) and age (birth-18 years), yielding 47 results. The second search using the medical subject headings (MeSH) database with the search terms "Long QT Syndrome" (MeSH) and "Short QT Syndrome" (MeSH) and "Brugada Syndrome" (MeSH) and "Catecholaminergic Polymorphic Ventricular Tachycardia" (MeSH), applying the same filters yielded 467 results. The abstracts of these articles were studied, and the articles were categorized and organized. Articles of relevance were read in full. As and where applicable, relevant references and citations from the primary articles where further explored and read in full. Background: Vertical vein is left patent in some cases of supra-cardiac total anomalous pulmonary venous connection (TAPVC) when there is hemodynamic instability due to noncompliant left atrium and ventricle. After the peri-operative period, this results in features of pre-tricuspid shunt. 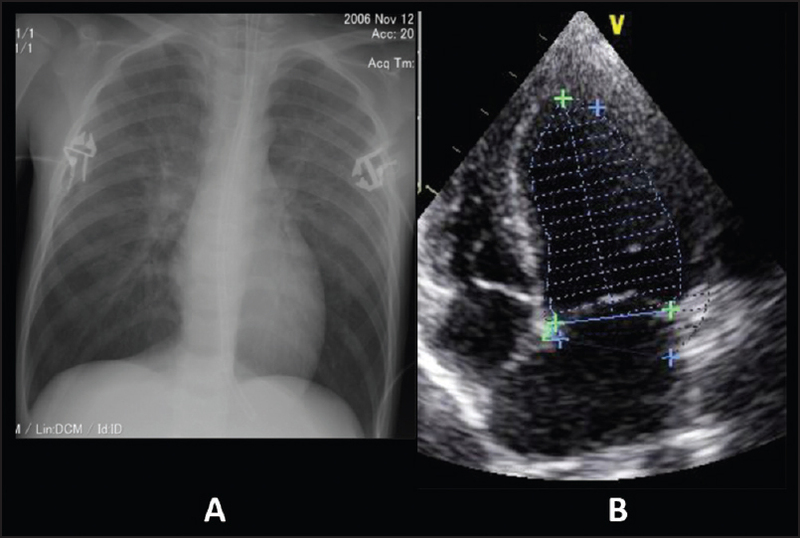 Materials and Methods: Three cases with patent vertical vein following repair of supra-cardiac TAPVC presented with features of pre-tricuspid shunt on follow-up. Trans-catheter closure of patent vertical vein was performed using vascular plug in all three subjects. Results: The procedure was technically successful in all the patients. There was a complication related to catheter tip breakage in one of them, which was successfully managed. There was no impingement on pulmonary vein in any of the patients. Conclusion: Patent vertical vein following TAPVC repair results in features of pre-tricuspid shunt. Transcatheter closure of the patent vein is feasible. 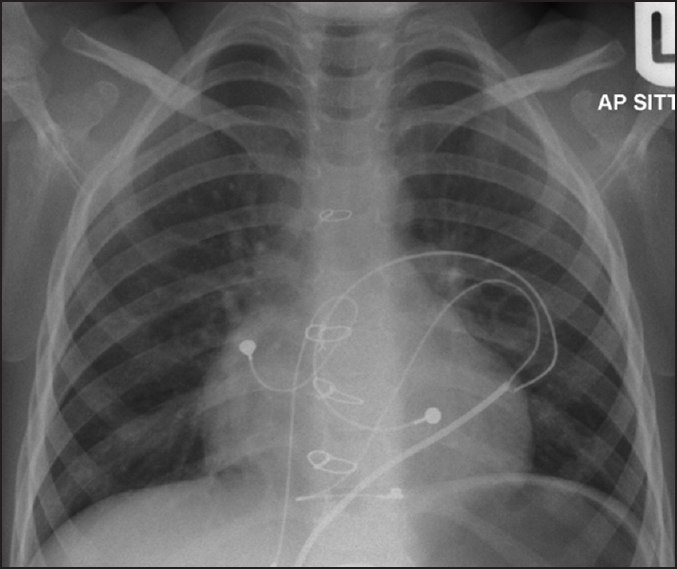 A 14-year-old girl underwent classical Blalock-Taussig shunt at 5 months of age. 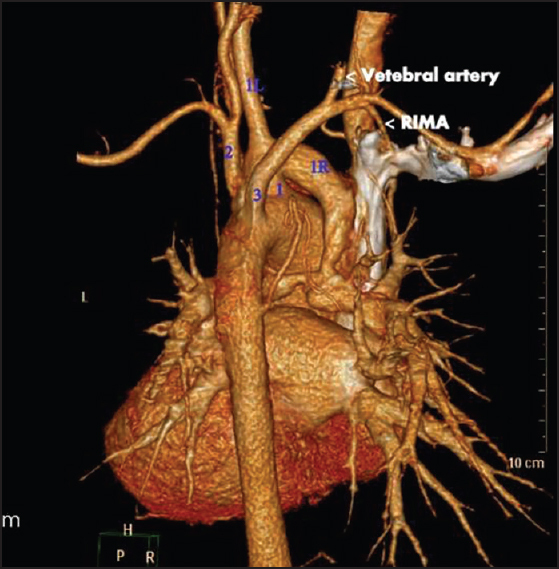 Computed tomography evaluation showed "Adachi type H" pattern of aortic arch vessels with the right common carotid artery being anastomosed to the right pulmonary artery mistaking it for the right subclavian artery. 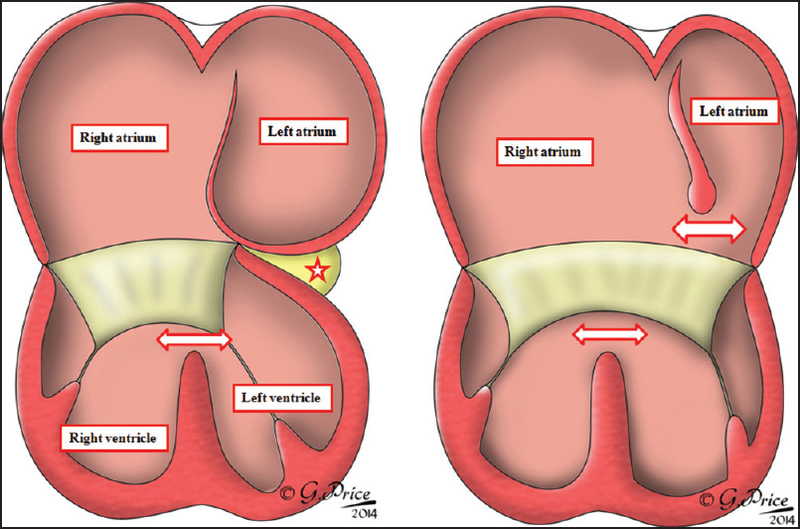 Percutaneous replacement of the tricuspid valve with a bovine jugular venous valve (melody valve) was successfully undertaken in a 9-year-old boy. 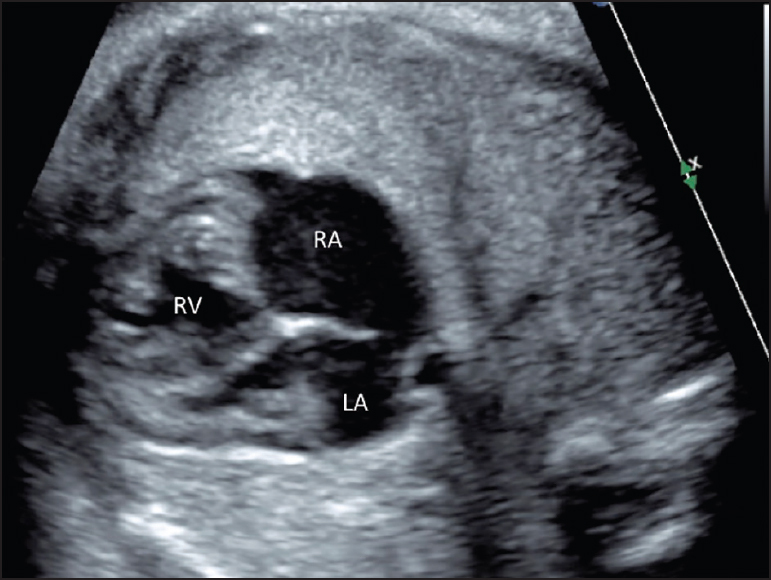 The patient had a previous history of bacterial endocarditis of the native tricuspid valve in infancy. Initially, a pericardial patch valve was created, followed by surgical replacement of the valve using a biological tissue valve at 4 years of age. 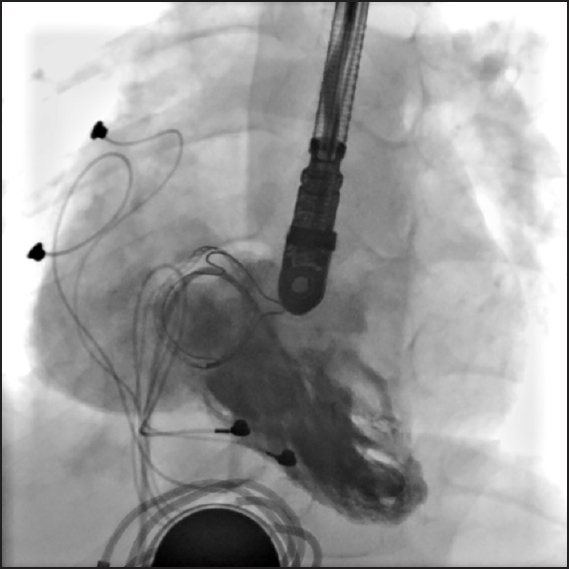 Progressive stenosis and regurgitation of the biological valve, with severe venous congestion and resulting hepatic dysfunction prompted percutaneous valve replacement. Double outlet atrium is a rare cardiac anomaly wherein one of the atriums, most frequently the right atrium, opens into both the ventricles. Although seen more commonly in the setting of atrioventricular septal defect, this arrangement can also be found when one of the atrioventricular connections is atretic due to absence of the atrioventricular connection and the other atrioventricular valve straddles the muscular ventricular septum. It is the specific anatomy and connections of the atrioventricular junction that clarifies the situation and distinguishes between these two types of double outlet atrium. 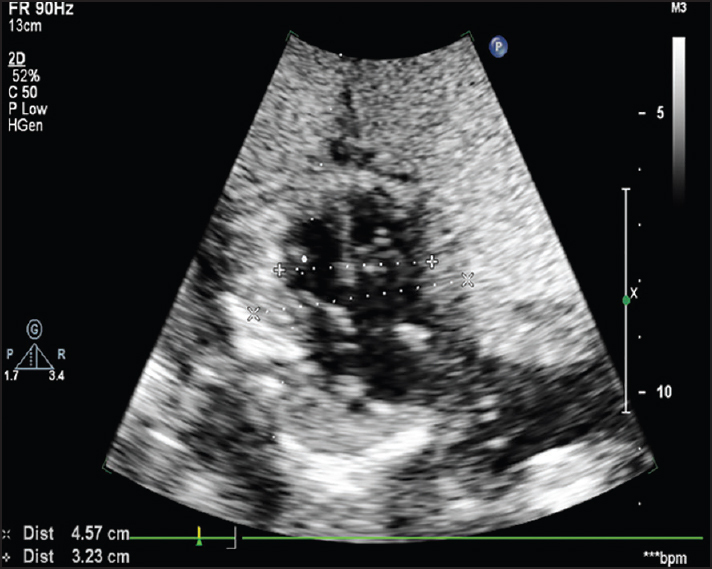 In this report, we present a case of double outlet right atrium co-existing with the absence of left atrioventricular connection. We then discuss the morphologic aspects of this interesting anomaly. A rare case of pediatric neurogenic stunned myocardium (NSM) associated with a brain tumor is reported. A previously healthy 6-year-old boy presented with coma, and imaging studies revealed a brain tumor. On hospitalization day 3, he developed NSM and neurogenic pulmonary edema necessitating intensive cardiopulmonary support. Although blood marker levels of cardiac injury were elevated, his plasma and urinary norepinephrine levels were within normal limits. His cardiorespiratory functions markedly improved by hospitalization day 8. This case report may be one of the first to document plasma and urinary catecholamine levels in pediatric NSM. While solid conclusion cannot be drawn based on experience from a single case, these results suggest that pediatric NSM may not be catecholamine-induced. Indexed left ventricular end-diastolic volume (ILVEDV) is commonly used in evaluating "borderline left ventricle (LV)" in hypoplastic left heart complex (HLHC) to determine if the LV can sustain adequate systemic cardiac output. Commonly used quantification methods include biplane Simpson or the traditional five-sixth area length "bullet" methods, which have been shown to underestimate true LV volumes, when septal position is mildly abnormal. Subxiphoid five-sixth area length method is proposed as a more accurate estimate of true LV volume in the evaluation of borderline LV. Plastic bronchitis, a rare but serious clinical condition, commonly seen after Fontan surgeries in children, may be a manifestation of suboptimal adaptation to the cavopulmonary circulation with unfavorable hemodynamics. They are ominous with poor prognosis. Sometimes, infection or airway reactivity may provoke cast bronchitis as a two-step insult on a vulnerable vascular bed. In such instances, aggressive management leads to longer survival. This report of cast bronchitis discusses its current understanding. Ebstein's anomaly was diagnosed in a fetus at 24 weeks of gestation. There was significant cardiomegaly and severe tricuspid regurgitation (TR). 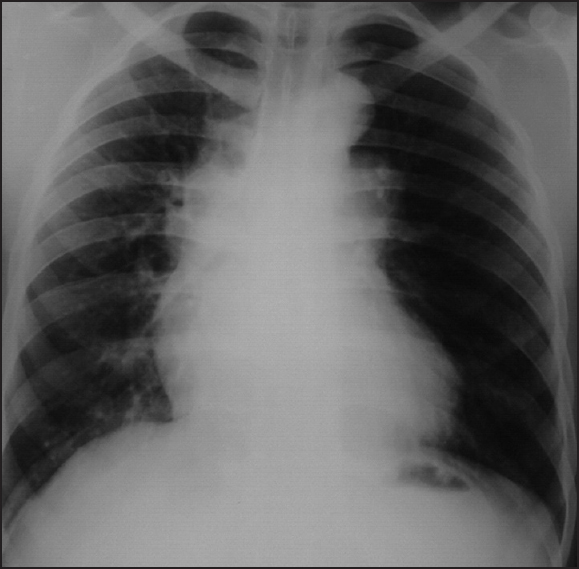 There was functional pulmonary atresia with severe pulmonary regurgitation (PR) and this was causing a circular shunt. There was no fetal hydrops. Performing chest X-ray is an important annual investigation to check pacemaker lead integrity during follow-up of patients with pacemakers. Understanding lead design is vital to the correct interpretation of X-rays to prevent inappropriate interventions for patients as highlighted in this case. A 22-year-old male patient presented with progressive effort intolerance of 2-years duration. Clinical findings and investigations were suggestive of Tetralogy of Fallot (TOF). 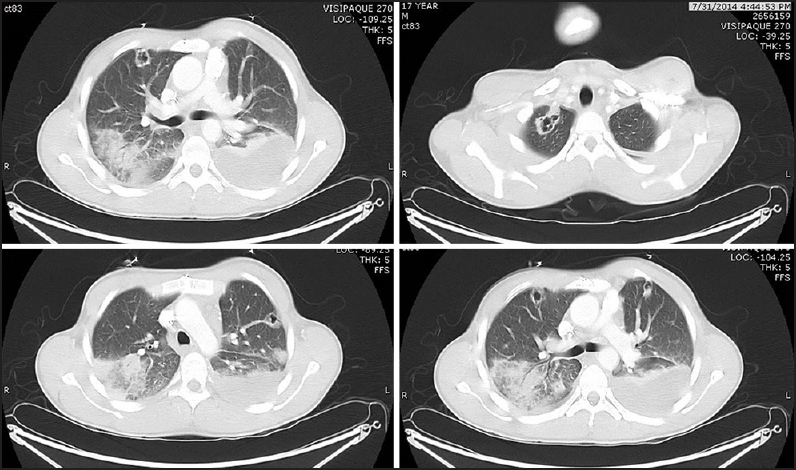 In addition, there was a conspicuous difference in the pulmonary vascularity with oligemia on the left side and relative hypervascularity on the right side. The right pulmonary artery was arising from the proximal ascending aorta and the main pulmonary artery was continuing as the left pulmonary artery. 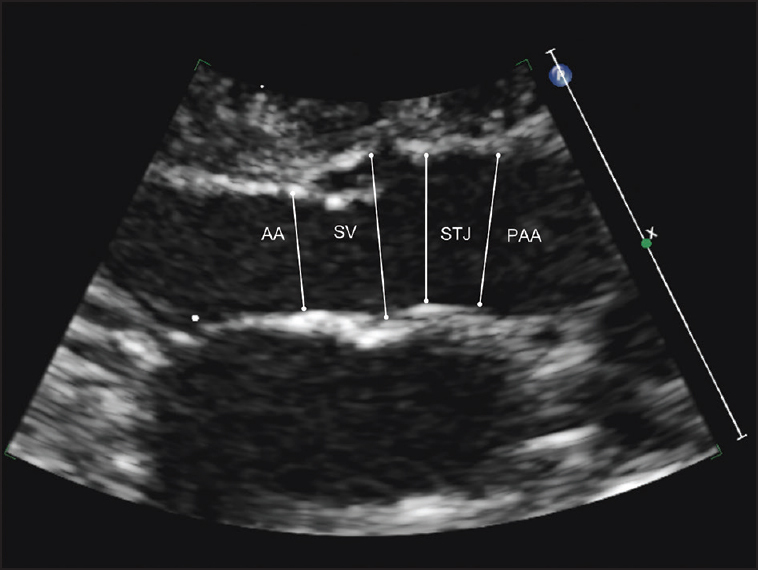 The anomalous origin of a branch pulmonary artery from the aorta (AOPA) is a rare cardiac anomaly. We report this condition in association with TOF, highlighting the differential pulmonary vascularity.